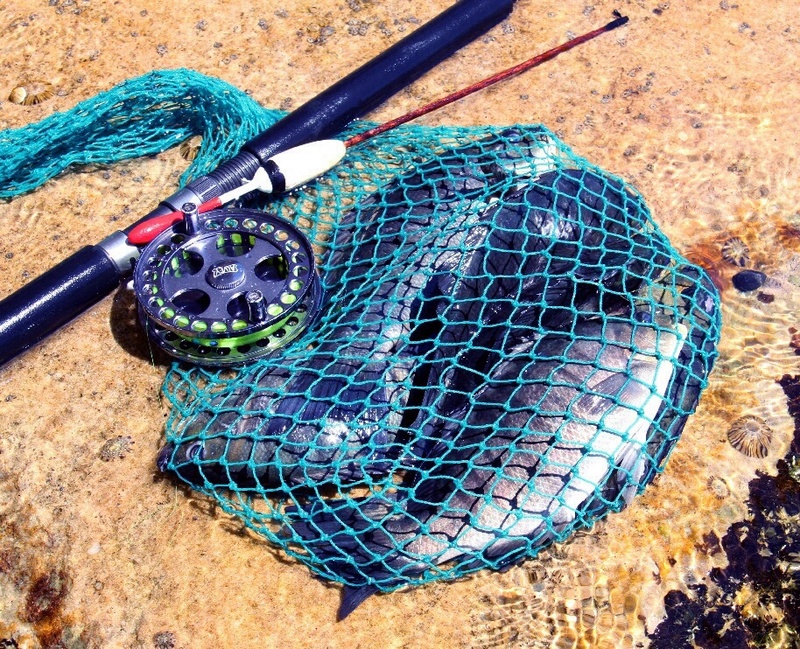 Blackfish (luderick) are a mainstay of the Australian fishing scene. 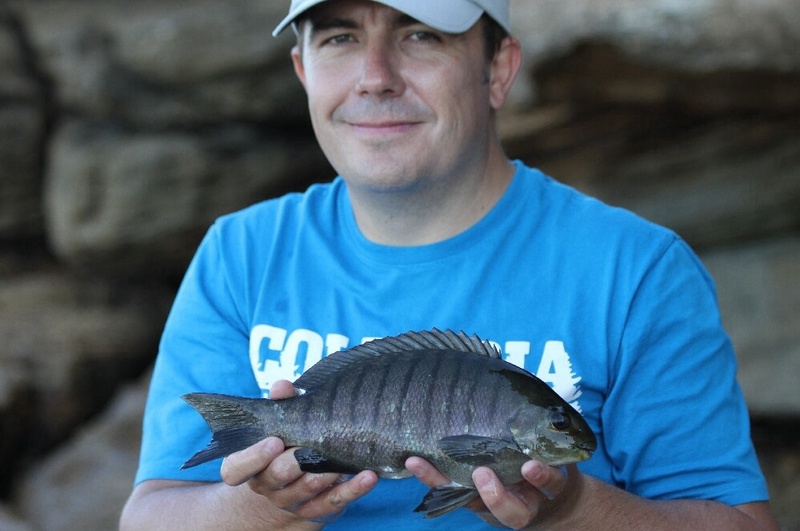 They are an accessible species for anglers to target, fight well and taste great. Best of all, you fish for them with a float which makes it a visually exciting form of fishing. Available all year round, blackfish are found along Australia’s east coast from southern Queensland all the way down to Tasmania. They live close to ocean rocks or in estuaries. I fish off the ocean rocks for blackfish. 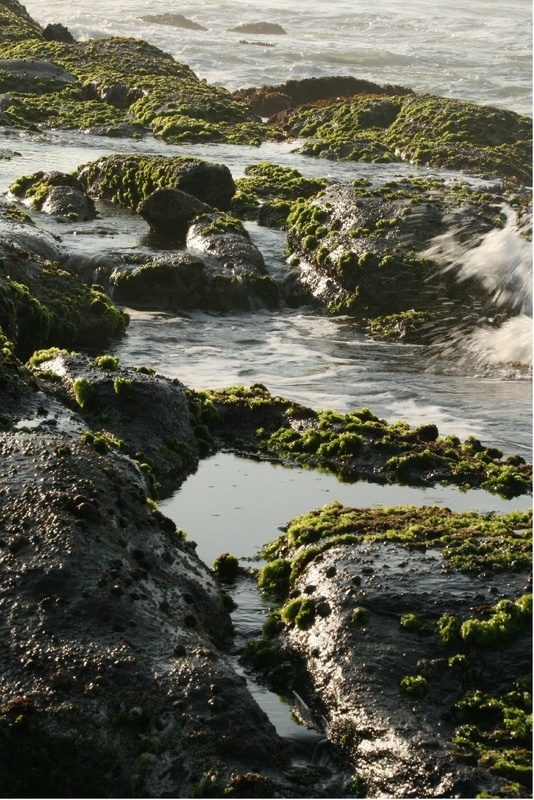 When I arrive at a location, I look for patches of sea cabbage or greenweed on rock ledges. Blackfish won’t be far away as this is their preferred food source. Look for areas where green weed is growing – blackfish will be nearby. Size does matter when chasing blackfish from the rocks. If you turn up to a fishing session with a typical 7 foot spinning rod, you will be on the receiving end of disparaging sideway glances from the rest of us, proudly holding our 12-14 foot masterpieces. There is good reason though. Having a longer rod allows you to pull more line when you strike, which is important during long drifts when there is often a bow in your line. A long rod will also help you to steer the fish away from sharp rocks during the fight. I prefer to use centre pin reels because they allow me to control the float during the drift, letting out or retrieving line as needed. Baitrunner reels are another popular choice because of their line release feature which works well for float fishing. Find fresh weed and you’re in with a chance. I have seen anglers using all manner of floats but my preference is for stemmed floats. Tackle stores sell them but I enjoy making my own. I carve balsa wood for the float section and use a thin piece of dowel for the stem. Line choice is crucial for float fishing. I use a specialist 12lb floating line but braid is also an option. I use a barrel sinker for weight between the float and the swivel, with a trace of a metre to the hook, weighted with splitshot as required. My trace is generally 6lbs, although I upgrade as high as 10lbs if I’m getting broken off. Fluorocarbon is a popular leader material because of its abrasion resistance and invisibility under water, although its lack of stretch sometimes results in lost fish. If this happens switch to mono. Suicide hooks in sizes 6 or 8 work for me. Centre piece reel, home made float and a bag full of blackfish. I like to fish on a rising tide close to high water with enough wave action to dislodge weed from the rocks. To begin, I concentrate on areas of white water close to the rock ledges. If that doesn’t work I fish the drifts out to deeper water, varying the length of line under the float. It is important to stay mobile and experiment until you find fish. The timing of your strike should vary according to the conditions. On some days you will need to strike as soon as your float pauses, other days a second after it disappears and sometimes three or four seconds after it has gone under. It comes down to the mood of the blackfish and how aggressively they are feeding. As a general rule of thumb, if your bait comes back untouched then you have struck too soon. If you’re losing your bait then you need to be quicker off the mark. Once you’ve hooked a blackfish, play it out for a few minutes before trying to land it on the rocks. Trying to land a green fish over a rock ledge often ends in tears. 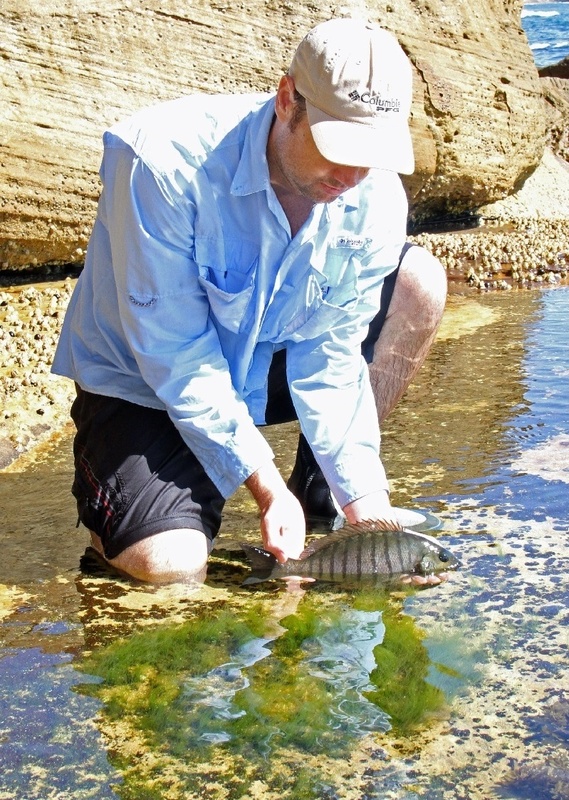 Once you have the fish under control, use a wave to wash it up onto the rocks. When it all comes together. All things fishing and outdoors.